Bayside Australia has built a strong reputation as the petroleum industry specialists. 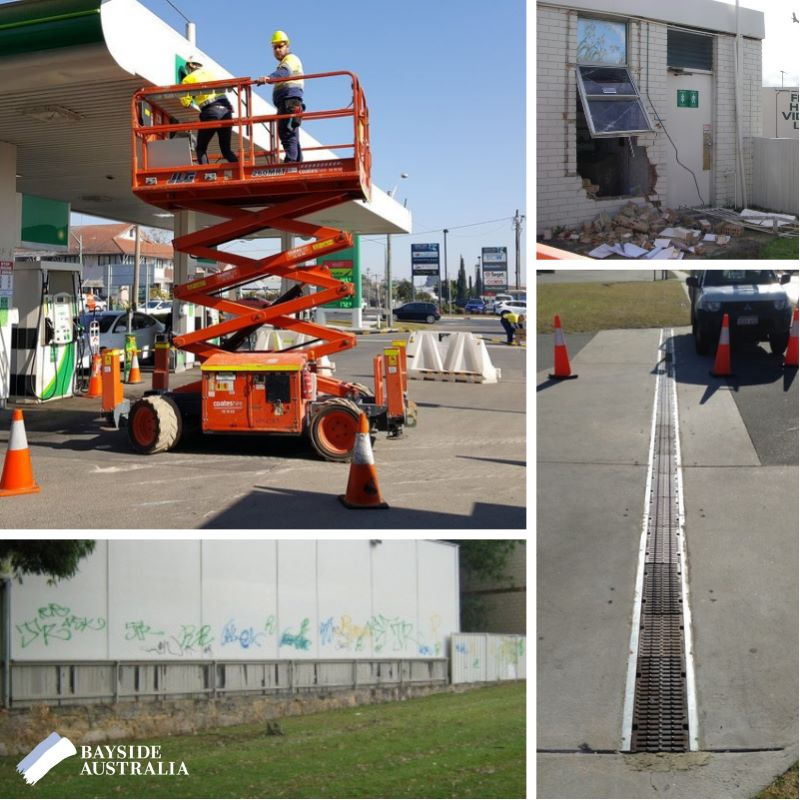 Our personnel are WPCG accredited, trained in hazardous area works and have extensive experience in retail service station maintenance and projects. We have specialised inhouse WPCG authorised permit to work issuers and can provide supervision, site management and auditing. With a reputation for out of the box innovative repair solutions we have undertaken numerous remedial works for civil and draining repairs including the stabilisation of failing forecourt driveways through chemical injection, epoxy crack repairs, forecourt pollution control upgrades and compliance modifications, forecourt slab repairs and major asphalt repairs. Complimented by a large sub contractor network of WPCG accredited contractors ensures Bayside can respond to any works Australia wide.